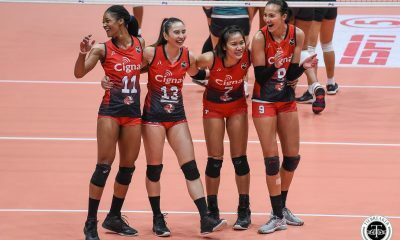 There is arguably no better way to signal a challenge for the championship than with a victory over the defending champions. 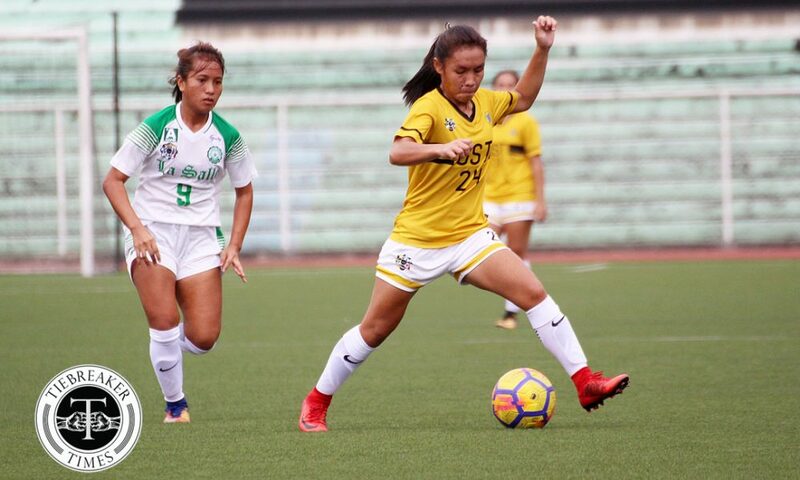 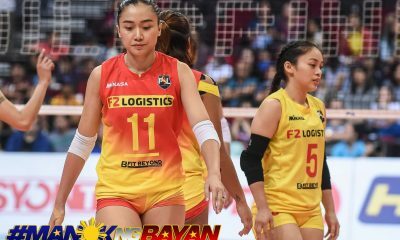 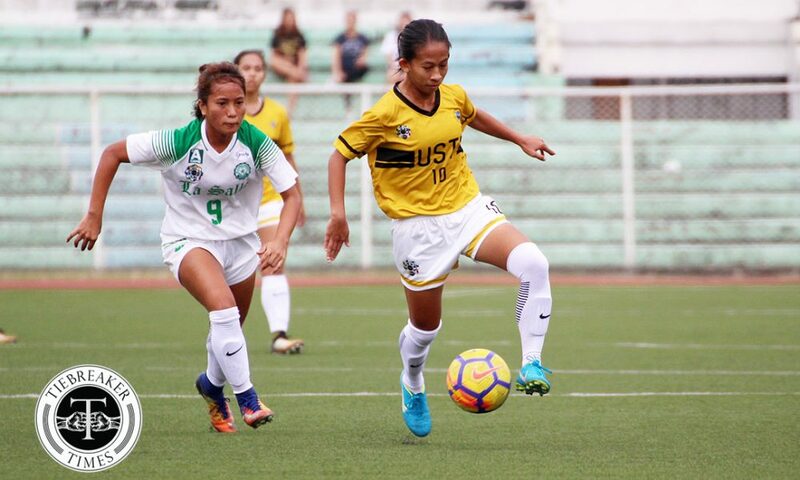 The University of Santo Tomas Lady Booters emerged victorious over defending champions De La Salle University Lady Archers with a 1-0 result, Wednesday morning at the Rizal Memorial Stadium in Manila. 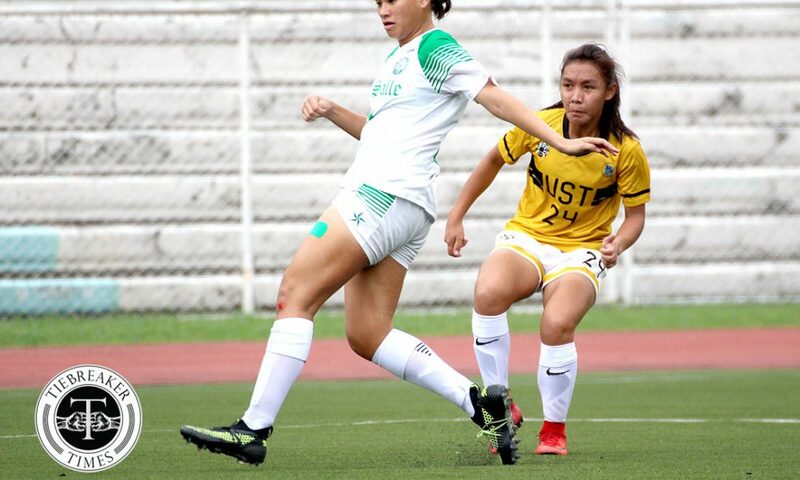 After a goalless but frenetic first half, La Salle should have secured a taste of the lead after the referee spotted a handball infraction in the UST box. 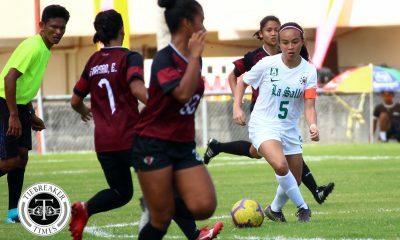 Shannon Arthur stepped up to take the penalty for the Lady Archers, only for Lady Booters goalie Nicole Reyes to guess correctly and catch the attempt. 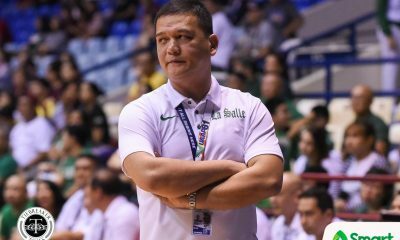 Arthur’s miss proved costly for La Salle, as UST smelled blood. 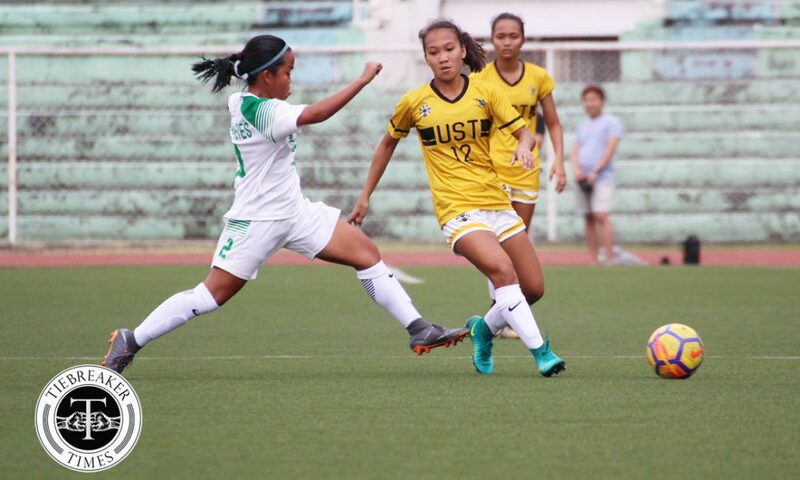 Charise Lemoran had a sniff at goal, and the Lady Booters soon had a shot disallowed due to offside. 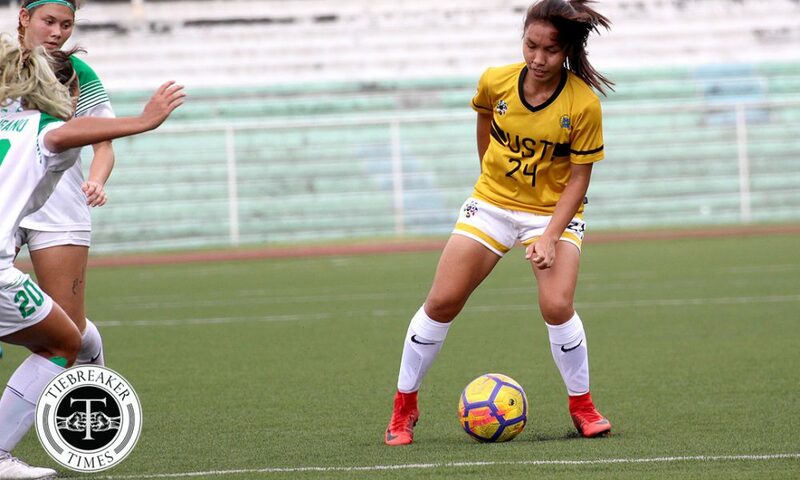 Nevertheless, a UST goal was imminent. 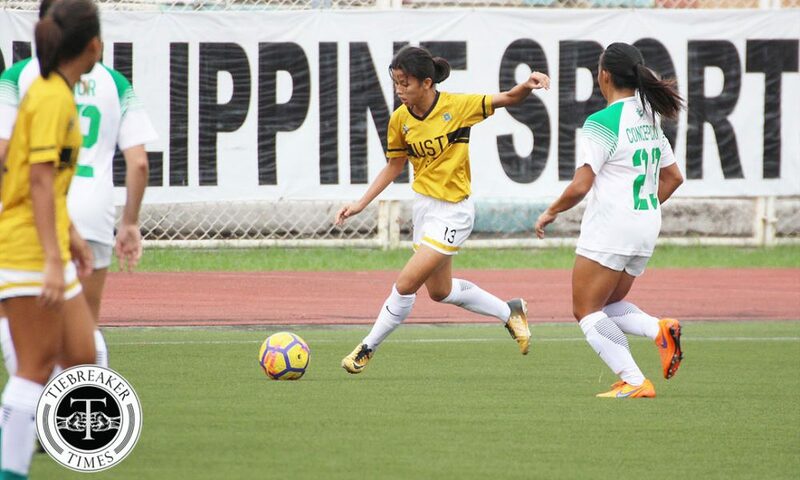 The Lady Booters from Espana finally found the breakthrough at the 73rd minute when Mae Cadag turned in Hazel Lustan’s throughball and shot past La Salle goalie Natasha Lacson for the opener. 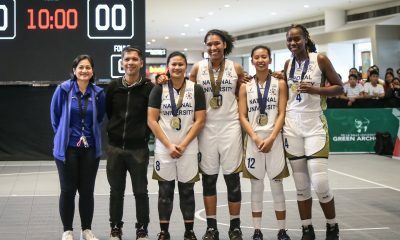 “Problema lang talaga namin yung finishing. 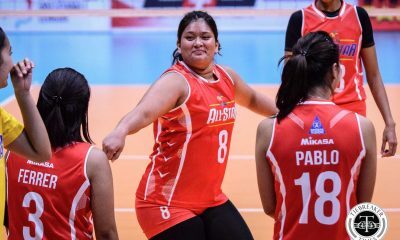 Yun yung in-encourage ko sa kanila during the break time na kailangan lang talaga naming mag-attempt. 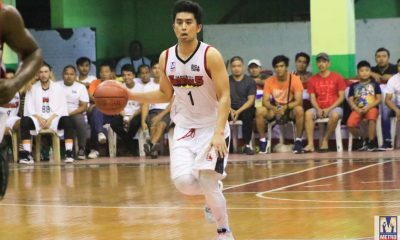 And then yung killer instinct na hinahanap naming sa isa’t isa, sa players namin; yun yung kailangan naming i-develop sa sarili namin,” explained Rubio. 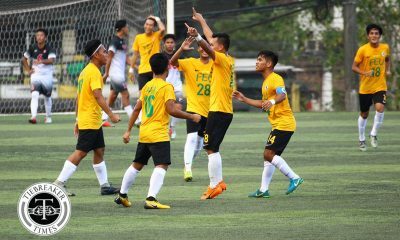 “Kasi kaunti na lang, finishing na lang. 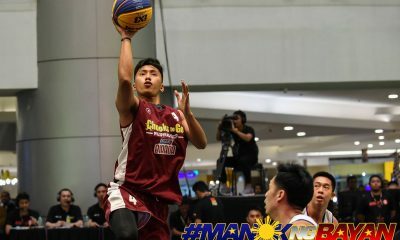 Hindi kami nag-attempt, hindi kami nag-try to shoot. 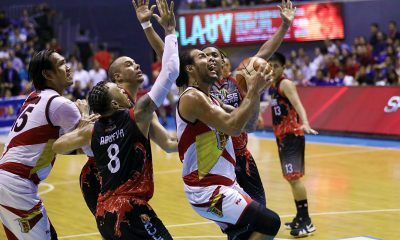 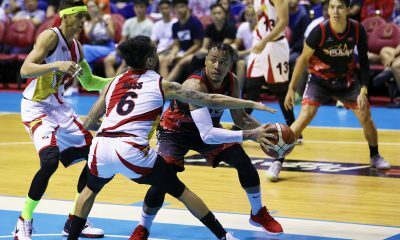 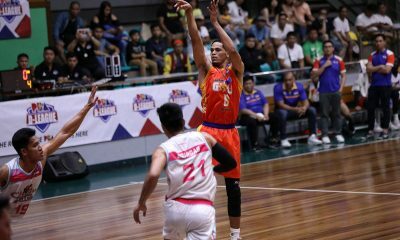 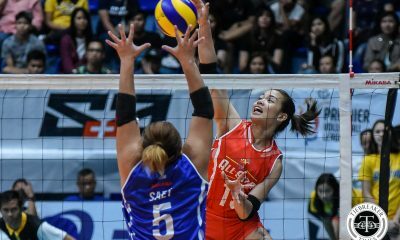 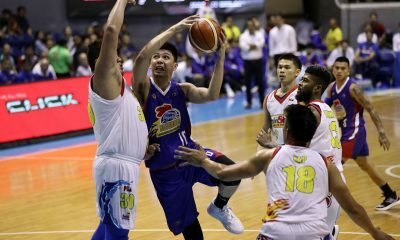 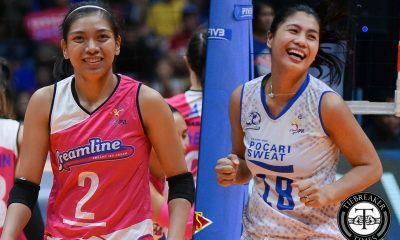 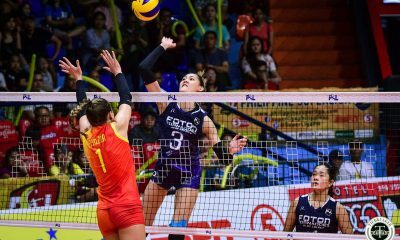 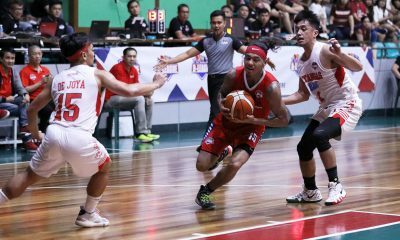 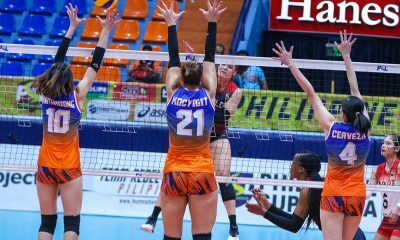 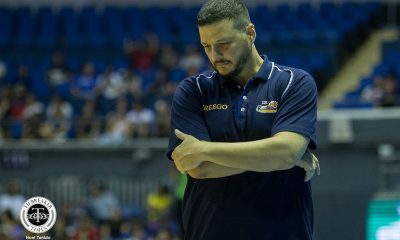 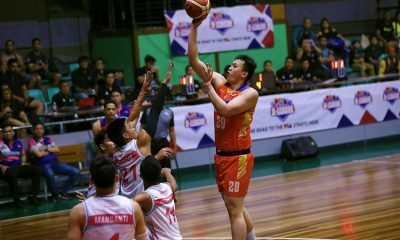 Kaya yun yung pinu-push ko silang gawin sa second half,” she added. 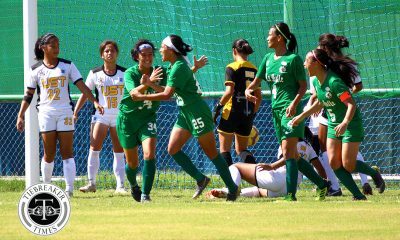 Down 0-1, La Salle scrambled to salvage a draw or force a win, but it just was not the Lady Archers’ day. 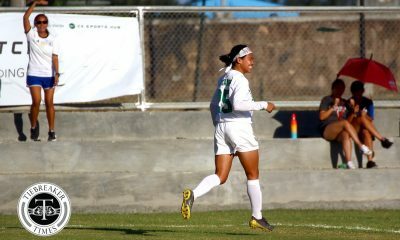 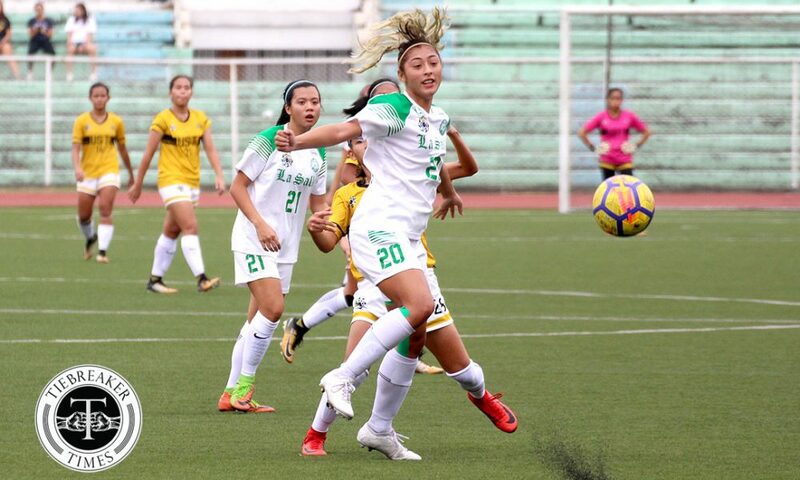 Chelo Hodges and Kyra Dimaandal both failed to find the back of the net, while Reyes caught Arthur’s free kick in stoppage time. 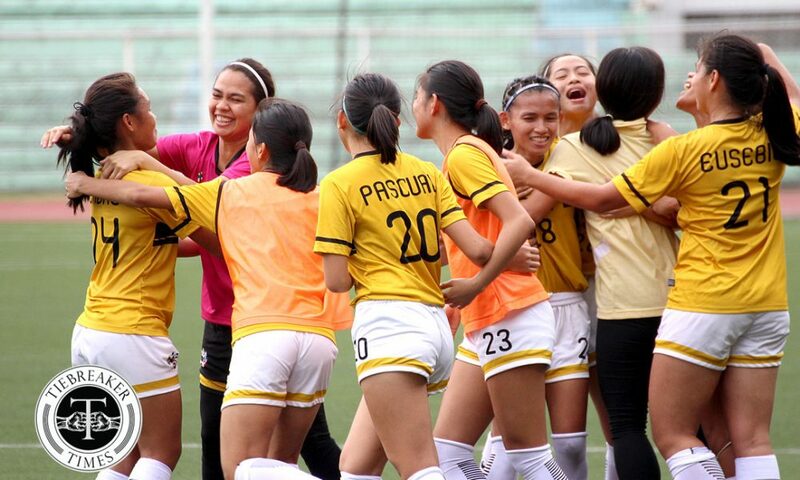 UST eventually survived 1-0 against La Salle to get their biggest win of the season yet. 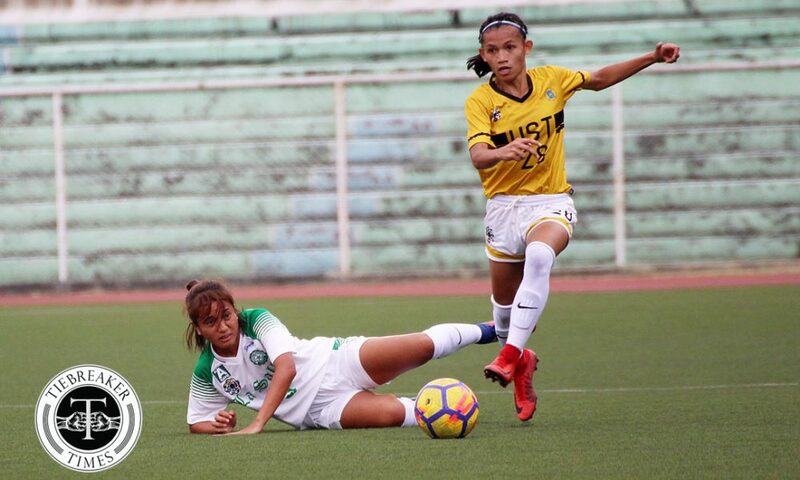 On the other hand, La Salle not only had to suffer the end of their 10-game winning streak, but also star striker Kyra Dimaandal’s injury as she suffered a bad fall near the end of the game. 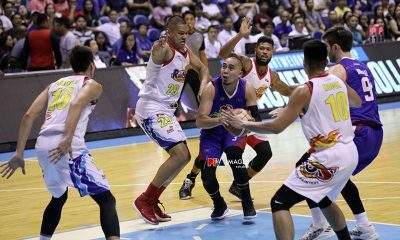 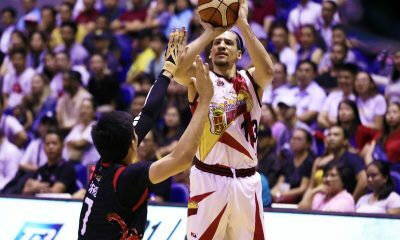 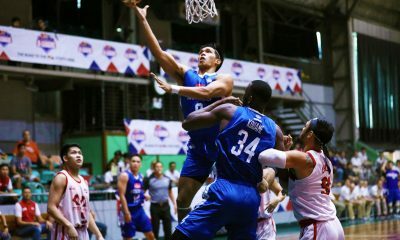 “Pagdating sa depensa, yung puso talaga ng mga bata lumabas dahil gusto namin manalo kaya tuwang-tuwa rin ako doon,” concluded Rubio. 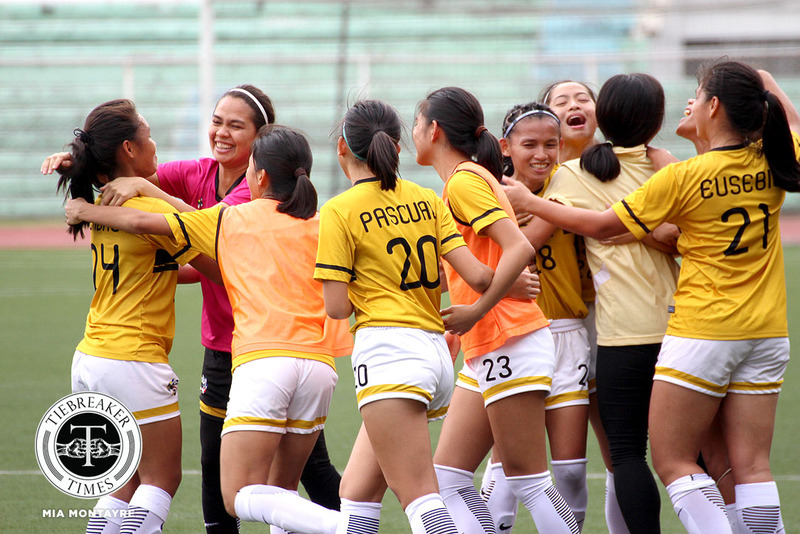 Both teams’ next games shall be on February 17 at Rizal Memorial. 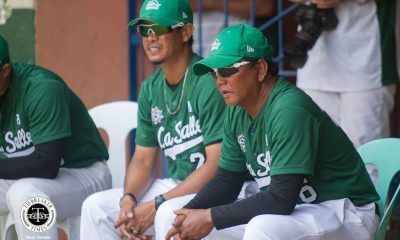 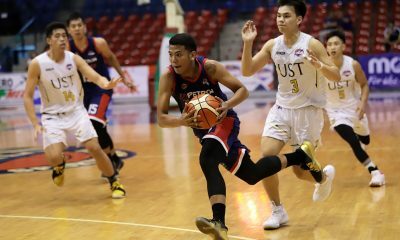 UST will hope to condemn the University of the Philippines to their third straight loss at 3:00 PM, while La Salle hope to bounce back against the Far Eastern University earlier at 9:00 AM.